Looking for that Perfect Wedding Invitation? Read up about Cards by Samantha's top tips for wedding invitation trends in 2019! Looking for that Perfect Wedding Invitation? If you have started the journey to finding your perfect wedding invitation, you will know the choice is endless. Style? Colour? Pocket fold? Printed? Handmade? If you’re looking for some inspiration or just a place to start, why not begin by having a look at the top tips for invitation trends in 2019? Here is Cards by Samantha’s top tips when choosing the perfect wedding invitation! Inspired by the 2018 Royal Wedding, which was full of beautiful green and white shades, this colour is tipped to be big in 2019. It is such a versatile colour and as it is found in nature in abundance, it can also be teamed with lots of different trends, which are also going to be popular – rustic wood, flowers and leaves, sparkle, various shades of metallics. Green also goes well with the ever-popular blush colour. Very popular a few years ago, this colour is making a comeback! From the rich and exotic deep purple, through magentas, lilacs and mauves, all shades look beautiful on wedding stationery. Colour can be included in a number of ways – ribbons, dried lavender flowers (which also give the recipient of your invitation an amazing aroma!) or a simple mauve mount – purple always add a touch of luxury. Navy is the new black! Navy is stunning – teamed with blush, golds, silver or paler blues. It is very versatile and warmer than black, but still as dramatic. Bridesmaid dresses also look fabulous in this colour and it suits most skin-tones. Metallics are not just gold or silver! Metallics are set to be everywhere and they are so easy to incorporate into your venue and table decorations. Why not combine two coloured metallics – silver AND gold go well together. Also think about copper (which has been a big home decor trend in 2018) and rose gold – which has also been popular this year. Metallics look lovely teamed with blush, clean white and navy and lend themselves to the geometric paper trend in invitations. Floral and Nature whether choosing printed florals or paper flowers and leaves to decorate your invitations, flowers are usually a big part of any wedding day and it starts with your invitation. The trend for garland decorated invitations also incorporates the floral theme, as does the green colour trend. I like using florals as the elements can be taken and used to great effect on all your co-ordinating day stationery. I hope this has given you some ideas and inspiration! For more inspiration on your perfect wedding invitation visit www.cardsbysamantha.co.uk, visit my Facebook page or visit me in person either from my small garden studio in Cheshire or at the Formby Hall Wedding Show on Sunday 21st October, where all my range can be viewed and your ideas can be brought to life! Wow, what a day! 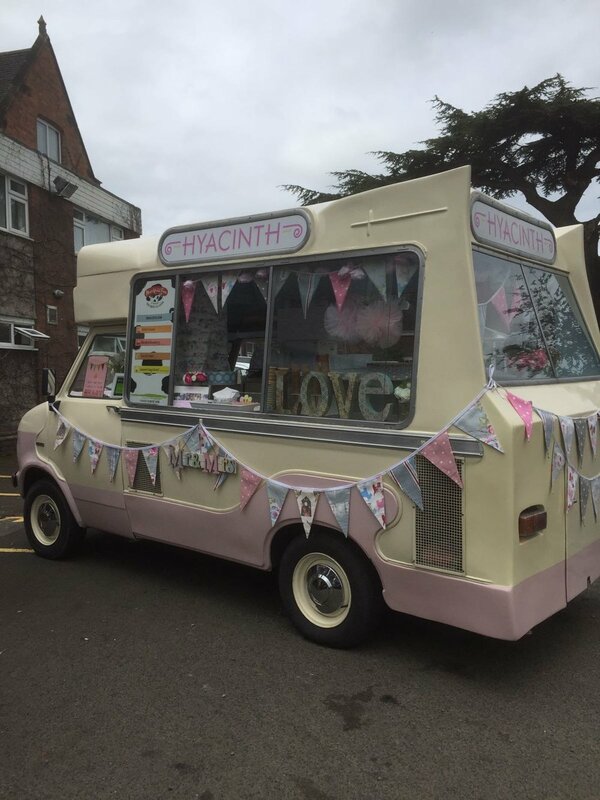 Thank you to everyone who came and made our Wedding Fayre at the Brook Mollington Hotel so fantastic. Thank you to all the Brides and Grooms (to-be) and, of course, all our lovely wedding suppliers! We hope you enjoyed planning your special day as much as we loved welcoming you! 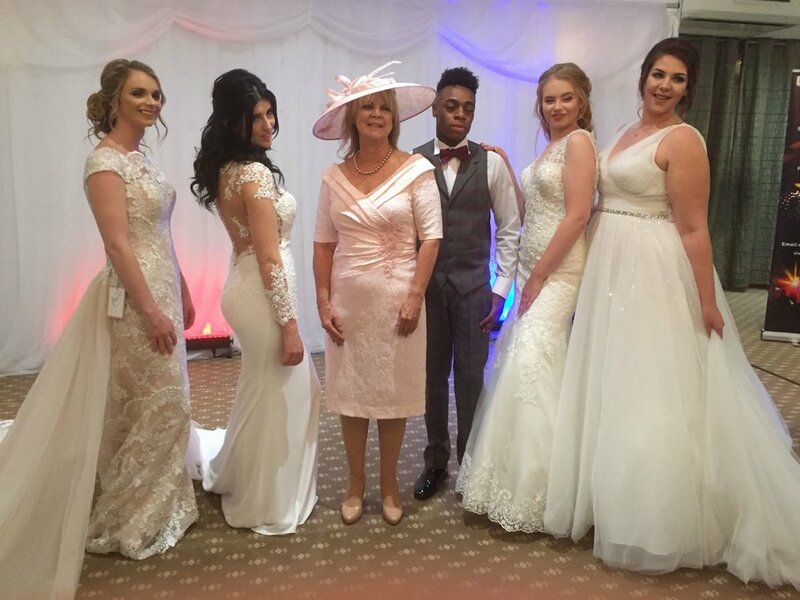 The Brook Mollington Banastre Open Day is this Thursday 6 - 8pm, come along to view the hotel dressed for a wedding, enjoy fizz and canapes and chat with the hotels wedding team about your wedding day! Do not worry if you didn't collect your prize, we will be sending it out in the post! 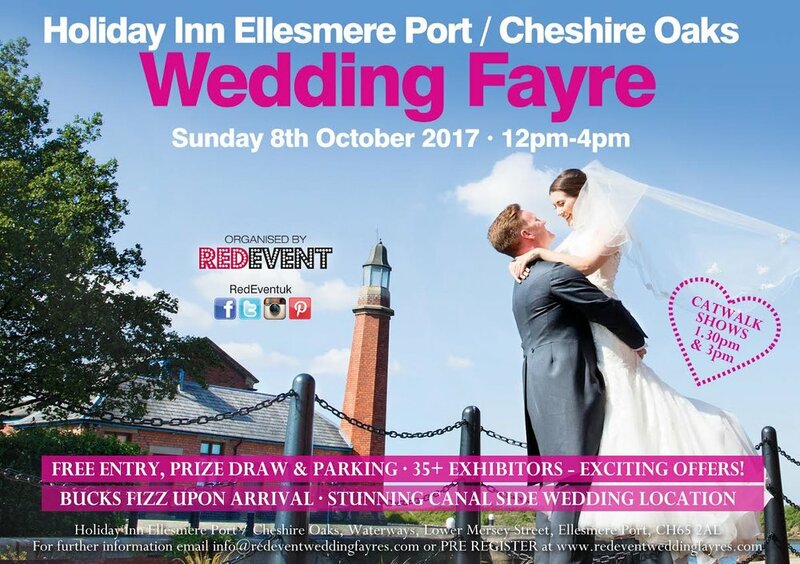 Red Event's will be hosting another fantastic Wedding Fayre at The Holiday Inn Ellesmere Port Cheshire Oaks on Sunday 8th October, 12 - 4pm. Save the date and come along for another afternoon of Wedding Planning and Wedding Shopping!